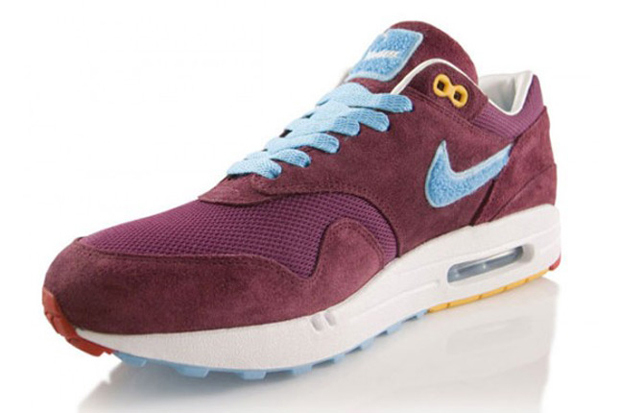 The Parra x Nike Air Max 1 is officially hitting the UK shores … thank God! 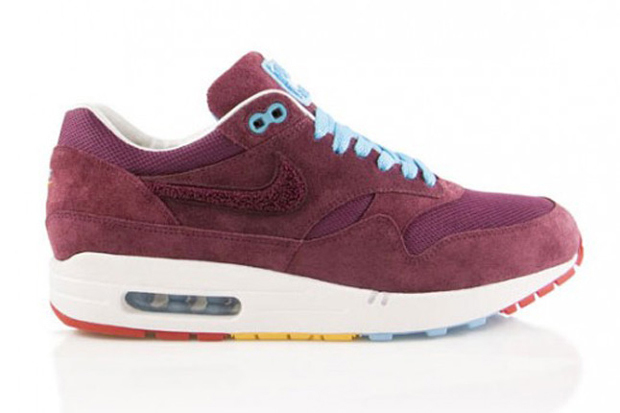 When sneaky pics of these shoes hit the web last year, they quickly became one of the most talked about Air Max 1 colabs, and it’s not hard to see why! 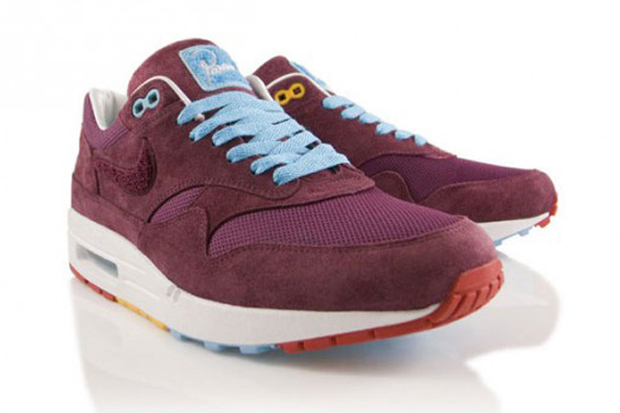 Consisting of a premium suede and mesh upper with chenille swoosh and tongue tab, this is a high quality Air Max 1. 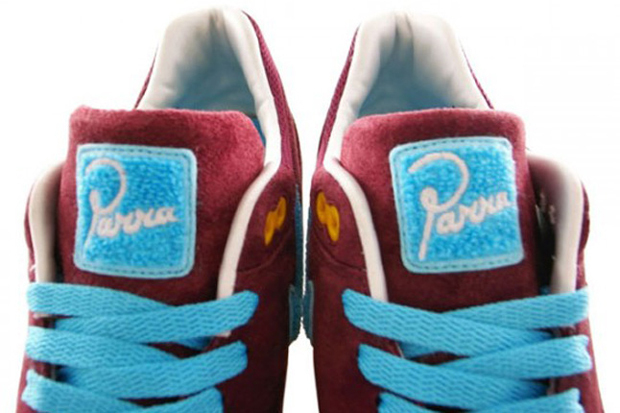 But the real beauty of this shoe is the colour-way. 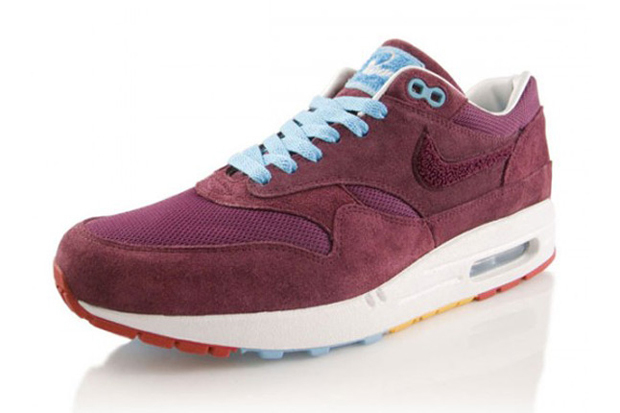 Covered in a rich Burgundy, this AM1 instantly looks luxurious. The splashes of sky blue on the laces, lace loops and tongue tab add a hefty amount of character without looking garish. The final touch is the multi-colour sole that is gonna drive sneaker heads crazy. Up until now, we’ve only heard of the kicks being released at Patta in Amsterdam, but we can now confirm that they will be dropping this Saturday (13th March) at the Nike 1948 store for a nice round £90. Don’t sleep on these, they are tier zero … they won’t be around long! 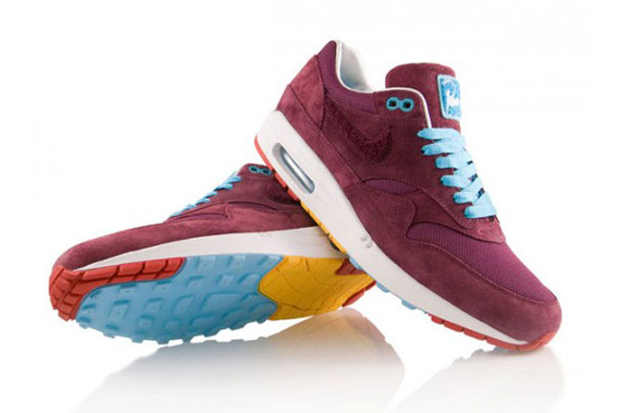 Images courtesy of Sneaker Freaker. do you mean saturday 13th? or thursday 18th? i’m on waking up bright n’ early to get there for opening time! Well spotted, I meant 13th … I’ve updated it now. good work! Wish I could say the same thing.